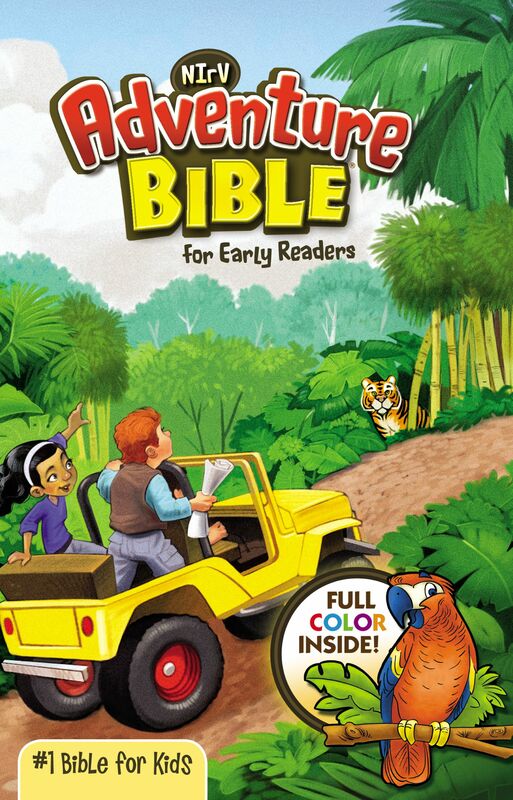 Includes the complete New International Reader s Version (NIrV), perfect for children learning to read and explore the Bible for the first time on their own. For games and activities, visit www.AdventureBible.com." Adventure Bible for Early Readers-NIRV by Lawrence O. Richards was published by Zondervan in June 2014 and is our 17819th best seller. The ISBN for Adventure Bible for Early Readers-NIRV is 9780310727422. Be the first to review Adventure Bible for Early Readers-NIRV! Got a question? No problem! Just click here to ask us about Adventure Bible for Early Readers-NIRV. A:This Bible's font size is Point-9. Thank you for using the Q&A Forum.